Cancer May Have Taken My Mom, But I Refuse to Let it Take My Joy! In June 2008, my mom was diagnosed with stage IV metastatic melanoma. In July 2008, my mom’s youngest child, her 12th child, was married. That child was me. 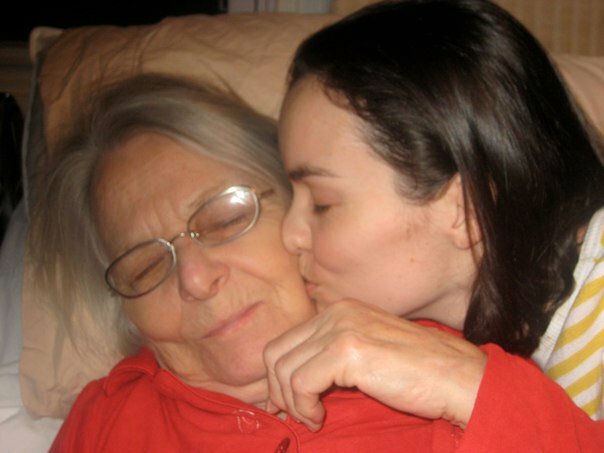 In March 2009, cancer took my mom. In June 2009, I found out I was pregnant for the first time…my due date was my mom’s birthday. 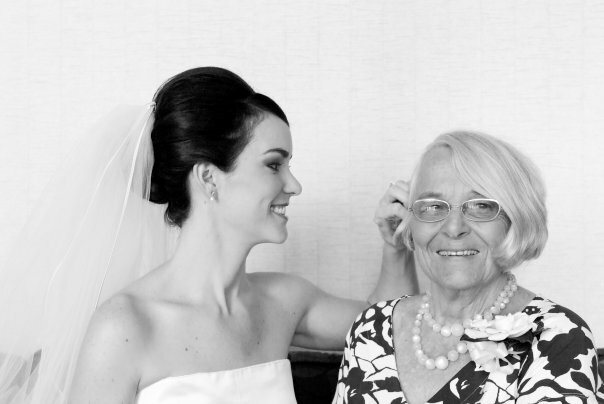 It’s a great debate in my family whether or not my mom knew her cancer was terminal before my wedding…but let me ask you this: if your youngest child was weeks away from getting married, would you announce you’re dying of cancer? Would you want your child’s wedding day to be a joyous one or feel more like a living funeral for the Mother-of-the-Bride? Now that I’m a mom myself, I would have handled it the same way. I’m fairly certain she knew her fate in June, but it wasn’t until early August when my parents shared the news with my siblings that she had less than a year to live. They intentionally left me out. I was on my honeymoon. My mom’s plan was not to tell me…she wanted to “protect” me in some way. As the baby of the family, shielding me from all the family drama was a common move. My mom didn’t want me to worry, she didn’t want this newlywed stage to be tainted. There I was, begging for the truth, but as soon as she uttered those words I wanted to go back to living in denial. Deep down, I knew back in June this was it. This cancer was going to kill her. Every month for the next 9 months I flew home from LA to Chicago to spend time with my mom. And every month I said goodbye to my mom as if it was our last goodbye. These thoughts consumed my life and sabotaged my first year of marriage. It’s safe to say I was not the person my husband signed up to marry…far from it. This was exactly what my mom was trying to “protect” me from. And now that I’m a mom, I’d do just about everything to protect and keep my children happy. Cancer-related distress is any unpleasant feeling or emotion (sadness, hopeless, powerless, uncertain, guilty, etc.) that affects a patient or caregiver’s quality of life, how they cope with cancer and how they interact with others. It can be mental, physical, social or spiritual suffering. This type of distress can actually make it harder to cope with having cancer, its symptoms or its treatments. It’s been almost 10 years since my mom passed away to cancer, yet I can relate to almost every one of these symptoms during that time. I battled with depression and anxiety issues for years. I lost so much weight from the stress that it actually triggered me to develop hyperthyroidism. To date, I’m still treated for thyroid and anxiety issues. But something significant has changed. One thing has returned…and that is JOY. The girl that my husband signed up to marry has returned. The fun mom I hoped and dreamed to be for my kids is alive and well. Cancer may have taken my mom but I refuse to let it take my joy! Here are some tips to taking back your joy! This applies to cancer patients, caregivers, family and loved ones who have been affected by this horrible disease. Do the things that bring you joy. Say you love spending time with your grandchildren, maybe you like taking your daughter to the theatre or taking your dog to the beach… Whatever brings you joy, do it as often as you can. Ask yourself, what are you hoping for? For my mom, she knew being cured wasn’t an option so she took the least invasive, most comfortable treatment plan. Even towards the end when she was in hospice, it was her hope to be at home. So each of her 12 children and spouses took turns caring for her on different days. Since I was the only one out of state, I would come home every other weekend for those final 3 months of her life and care for my mom. It was her hope and an honor for all of us. She taught us grace and beauty and dignity even in her death. What are you worried about? (What is causing the distress?) Whatever those worries are, acknowledge them and then take action…make a plan to try to minimize the distress in your life as much as possible. I wish I had done this. I did not take care of myself physically and emotionally. I wish I had made that a priority. Get out! Go to the movies, schedule a lunch date with a friend, join a book club…whatever you can do to get out of your head (and home) to forget about cancer for a few hours. Update everyone all at once! Your family and friends love you, so they will want to know how you are doing…but that can be very straining to emotionally “go there” time and time again. If you have ongoing health updates to report to loved ones, send it out in a group email or post. This helps keep them informed and minimizes the stress on the patient and caregivers. “Caregivers, put your oxygen mask on first.” Basically, you are no good to the patient if you don’t take care of yourself. Go get your doctor check-ups, workout, schedule a spa day or an appointment with a therapist so you too have an emotional outlet. Self-care is so important! These tips were provided by Lillie D. Shockney, RN, BS, MAS, ONN-CG, University Distinguished Service Professor and Professor of Surgery, Johns Hopkins University School of Medicine. Cancercare.org is a FREE hotline made up of 43 social workers specifically there to help cancer patients AND caregivers. *These links are being provided as a convenience and for informational purposes only; they are not intended and should not be construed as legal or medical advice nor are they endorsements of any healthcare provider or practice. Med-IQ bears no responsibility for the accuracy, legality, or content of the external sites or for that of subsequent links. Contact the external sites for answers to questions regarding their content. Med-IQ is an accredited medical education company that provides exceptional educational experience for physicians, nurses, pharmacists and other healthcare professionals. I decided to work with Med-IQ because I want patients/caregivers/mothers/daughters to be aware of the signs of distress and anxiety. I want them to know they are not alone. No one should suffer in silence. I hope my story can help other families be more proactive in curbing cancer-related distress and finding joy whenever possible. Please take a moment to participate in this survey, which will take less than 15 minutes to complete. You will be entered to win one of ten $100 VISA gift cards. No personal information is kept, sold, or stored in the survey completion process. Once you have completed the survey, email survey.oncology@gmail.com and indicate you’ve taken the survey to be entered to win.